With our wealth of experience working with an extensive range of boilers, NXG Heating is the first choice of Kettering’s home owners and businesses for boiler repair. We recognise that your boiler is an essential component of your home or business. Even during the summer, using a defective boiler is not only inefficient but also dangerous. Whether your boiler has developed a leak or is malfunctioning, we are here to set everything right without delay. Our professional engineers are highly trained in complete diagnostic techniques for a variety of gas boilers including Vaillant, Baxi and Worcester boiler repair. London households all require expertise and support at some stage and we’re more than happy to help. We can work with all major makes and models of central heating boilers. We can diagnose any problem seamlessly and manage all types of repairs. 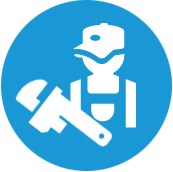 In the event that the repair of your boiler is not feasible, we can also help to find a replacement that suits your budget. Trust NXG Heating for every boiler repair need. From noisy boilers to leaky boilers and the boilers that refuse to heat, we can take care of all your needs. Our entire team of boiler engineers are gas safe registered so that you can rest assured that you are in the trusted hands of a professional. NXG Heating is fully equipped to provide prompt boiler service and boiler repairs all over London. Boiler performance is measured by annual fuel utilisation efficiency. The higher the rating your boiler can achieve, the more efficient the unit is. However, as boilers age or experience technical problems, the efficiency gradually reduces. By ensuring that your boiler unit is regularly serviced throughout its lifecycle, you are not only ensuring the safety of your home or business but you are also maximising the fuel efficiency of your unit, while reducing the likelihood of break downs and unexpected repairs. Arranging a regular visit from a NXG Heating engineer will help to ensure that your boiler continues to perform optimally and that its life is extended for as long as possible. At NXG Heating, we understand just how inconvenient boiler issues can be, which is why we endeavour to get your boiler up and running as quickly as possible with minimal expense and inconvenience. Whether it is planned maintenance or an emergency repair job, our London boiler engineers are available around the clock to tackle even the most complex boiler systems. Our Gas Safe Registered engineers are able to work on a range of domestic boilers in London including Worcester Bosch, Ideal, Viessmann, Potterton, Vaillant, Glow Worm, and Baxi. We can also service large commercial boilers. If you require emergency boiler repair in London, we cover the entire city from East London to West London and North London to South London. Our emergency boiler repair service is designed to repair your heating and boiling systems to the highest standard and at an affordable cost. Our high level of referrals and repeat business is a reflection of the professionalism and quality of service that we provide to our clients. In addition, our work is guaranteed so if something goes wrong, we are always there to back you up. Whether you are in Hoxton or Hampstead, NXG Heating is there to care for all of your boiler repairs in London. Fix your boiler now and restore warmth and security in your home. It’s never easy to find a name that you can trust when there is no shortage of outfits in the industry that charge exorbitant fees for shoddy or unreliable service. We are experienced in Vaillant boiler repair, Worcester boiler repair and Baxi boiler repair, not to mention the vast array of other household heating brands available. With our high standards of customer care and quality of service, our clients can rest assured that our work comes guaranteed. With prices starting at just £75, NXG Heating is a name that you can count on for all of your heating and boiler repair needs. Our trusted engineers do not commence any work before providing a fixed price so that you can have peace of mind knowing that your repairs are being taken care of with no hidden costs. Call NXG Heating for all of your London Boiler Repair and Boiler Maintenance needs.